The Fremantle Society is looking for a generous designer willing to modernise the rather tired looking website, obviously as cost effective as possible. Respect and privacy seem to be the things that disappear fastest when the media smell some kind of a story, and I think that is why many people believe newspapers lack credibility, and can’t bother reading them. Recent articles in the West Australian and Fremantle Herald have made me wonder what it is that excites journalists so much about the private relationships of public figures. Why do they believe the public should know anything at all about something that might or might not go on between Fremantle MLA Adele Carles and former Treasurer Troy Buswell? These are two adults who can do with their lives whatever pleases them, as long as it within the laws of our country. Nothing else matters, unless one would like to take a righteous stand and be judgmental about their decisions. The only thing that should interest the people of Fremantle is if Adele Carles is still active as our local member and does her best for our city. The media has the duty to scrutinise that. Up till then I suggest to leave her alone and let her get on with her life, with or without Troy Buswell. 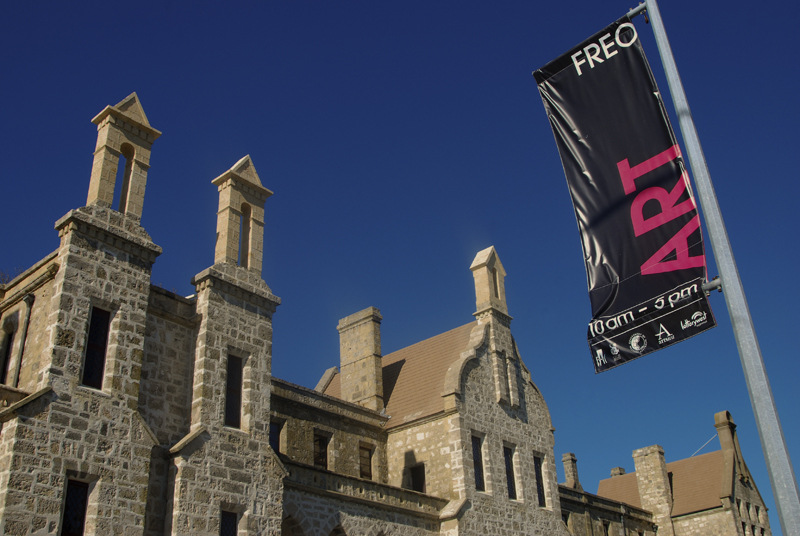 The renewal of the East End of Fremantle is on the agenda and the city will hold an open information day on Saturday, September 4 from 10am-2pm. It will be at the former Toyota dealership at 43 Queen Victoria Street. There will be plans on display and staff to answer questions, so take advantage off it. The East End is the gateway to the city and it is important that we get it right. No doubt that that part of the city needs new development, with the hope it will create vibrancy that has been lacking there for long. We need to be careful though that it won’t be kidnapped by developers who want to built ugly, boring high rises. What Fremantle needs are exciting and creative new buildings and fantastic public art that will inspire people. 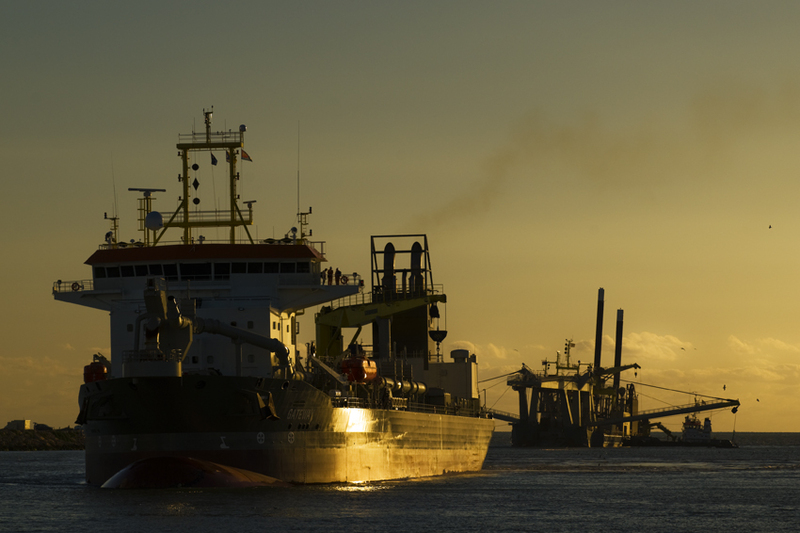 I could not help myself last eve and had to take some shots of the dredging vessels Phoenix I and Gateway at sunset in Fremantle harbour. I need to move house, so if anyone knows a place in or near Fremantle ideally, please let me know. A unit, flat, granny flat, small house with good neighbours in a suburb with life and community and at affordable rent is what I am after. Please pass this message on to your friends and colleagues. Thanks! The Fremantle Gazette today published an article on the front page about the cappuccino strip and the option of closing it for traffic, but it appears most Fremantle councilors are not in favour of it. We have been debating this for years, and apart from a lacklustre attempt to close the terrace on Sundays not much has happened. The Sunday closure trial was deemed unsuccessful, if my memory serves me right. The problem with the trial closure on Sundays was that there was no attempt made to brighten up the strip as a pedestrian friendly environment, with seating, shaded places, extending the alfresco cafe areas, buskers, music, etc. It will only be a matter of time during a busy Sunday that someone having a meal or coffee will be badly hurt or even killed by a car. Transperth and tourist busses often come very, very close to the people seated in the alfresco areas. That is dangerous and not acceptable and some clever lawyer might well hold the council responsible should an accident occur and claim they breached their duty of care. As an alternative I could see, much needed, widened footpaths and one way traffic only down Marine Terrace as a good compromise. It must be my old Dutch blood, or the proof that I am a boy after all, but I find the dredging vessels Gateway and Phoenix I in Fremantle harbour very fascinating. It is the first time in my life I have seen dredging so close up. I produced this little slide show this morning. The election result is something we should all think about, as Australia might well have moved on from the urban myth that we are a fair-go, tolerant and compassionate society. 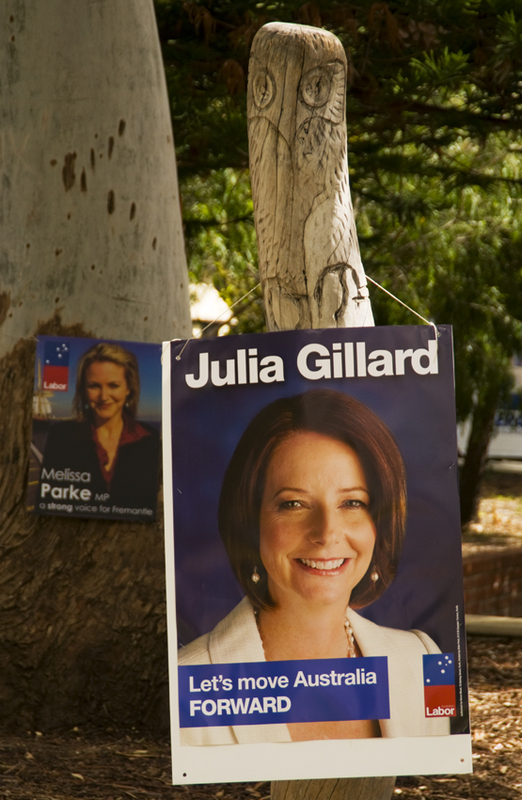 Labor did not win the election because it simply did not distance itself enough from the Liberal party. Labor politicians appear frightened to be seen as different, e.g. the debate on boat people. Kim Beazley was bi-partisan during the so-called Tampa crisis, and Julia Gillard was wishy-washy about what to do with the asylum seekers. Did it win them more votes than it lost them, or would more people have voted for Labor if they had shown any courage of conviction? Labor yet again went the cowards’ way and paid the price. And why weren’t the virtues of the mining tax sold much better to the public? Instead we got the fear campaign by the mining industry, the Western Australian Liberal government and Tony Abbott telling us the tax would affect us all and cost thousands of jobs. Poor Andrew (Twiggy) Forrest crying poor was just an amazing sight and should have made cynics out of every voter. Many Australians yesterday voted for selfishness, for a few dollars here and there in one’s own pocket, rather than caring about the bigger picture, desperate refugees, or getting a fair share from the resources we all own. Money and greed won yesterday, no matter who will try to run the government for the next 4 years. We are poorer for that. Here in Fremantle we are rapidly losing our safe Labor seat. The Liberal candidate was not far behind Melissa Parke’s primary vote count. On the bright side that could be a good thing because both major parties will have to start investing in Fremantle, as we are becoming more marginal. 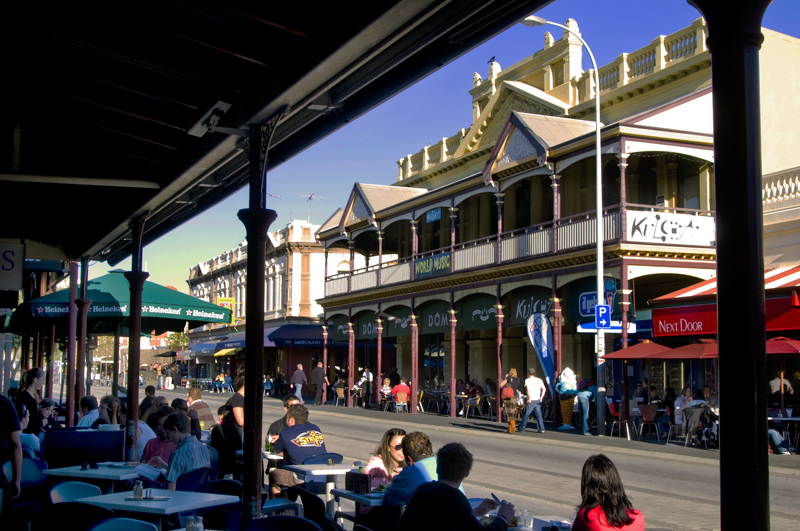 Fremantle is changing fast because more and more young professionals buy houses here. Property prices and rents have gone through the roof, so many working class people and students can no longer afford to live here, hence the demographics of the port city change and we are moving politically further to the right. The positive out of yesterday’s election is the large vote for the Greens. At least Abbott can’t run like a mad bull in a glass factory, but will be forced to compromise in the Senate. The other positive is that mad hat Wilson Tuckey was dumped, albeit 10 years too late. On a last note: It was interesting to read that Sunday Times columnist Piers Akerman called the Greens an extremists party today. This right wing extremist probably would like to see Home Security laws enforced upon them, or maybe put them in detention centres together with all those supposedly dangerous and extremist boat people. I am deeply worried, Australia! Comments Off on HUNG PARLIAMENT PREDICTION?